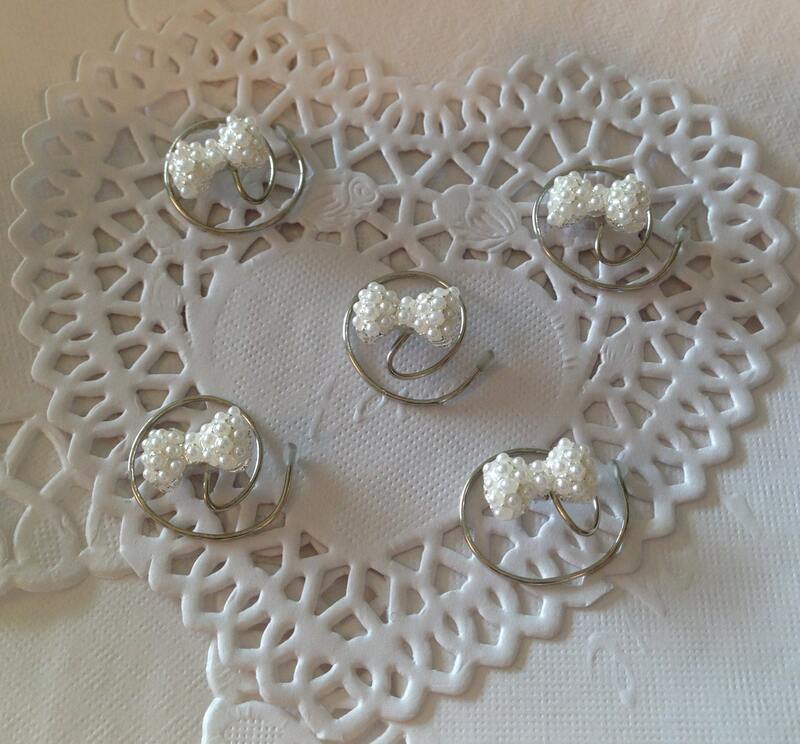 Sweet little white bows for your hair. 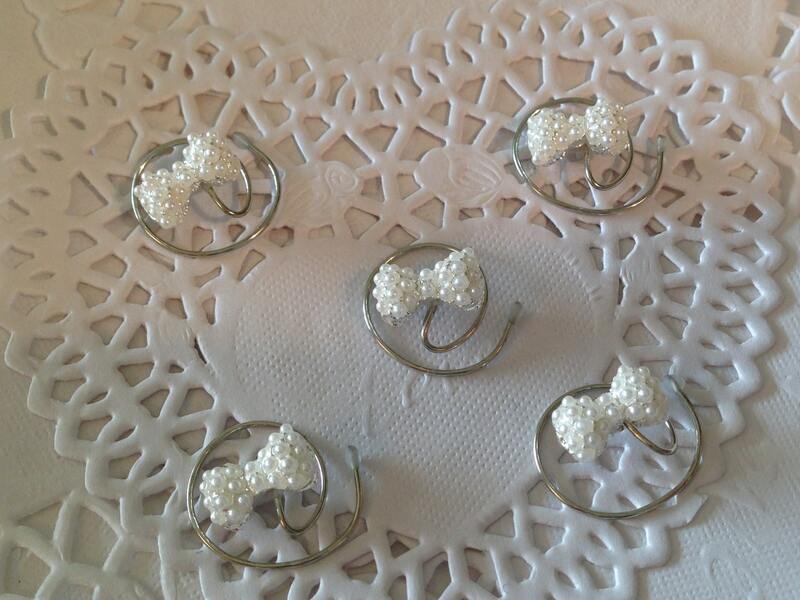 Each little bow is about 1/2 inch long by 3/8 inch wide. 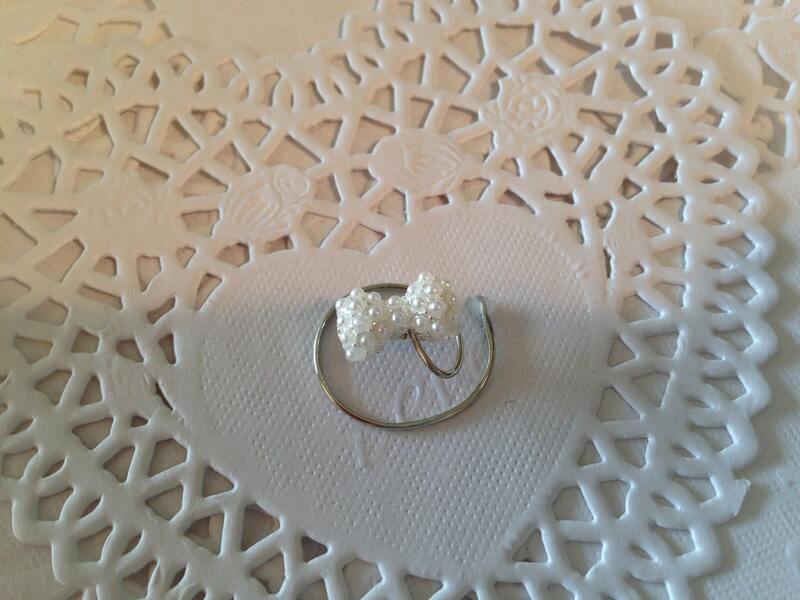 Each little bow is covered in tiny white pearls and set in a silver tone setting. 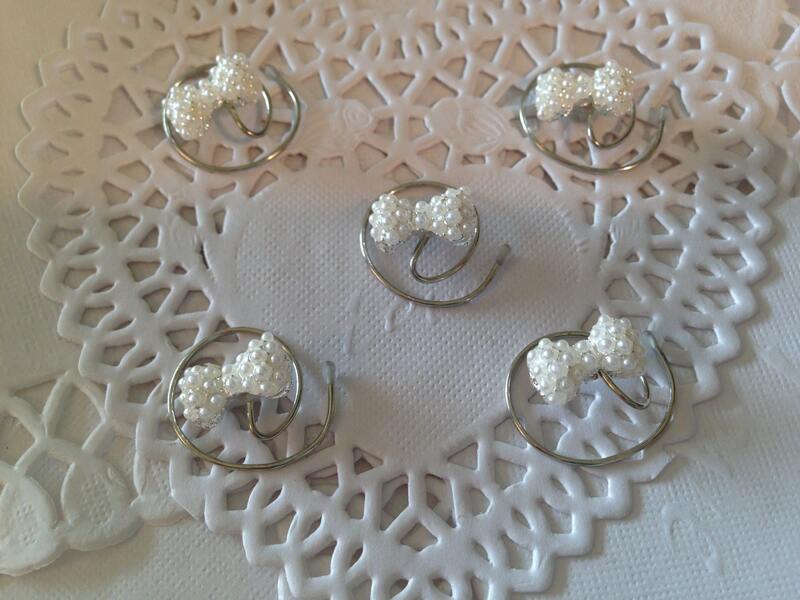 This listing is for a set of 5 and perfect for Bridal parties, skaters, ballroom dancers, and anyone who wants to put something special in their hair. These can be worn by children, teens, and women alike. 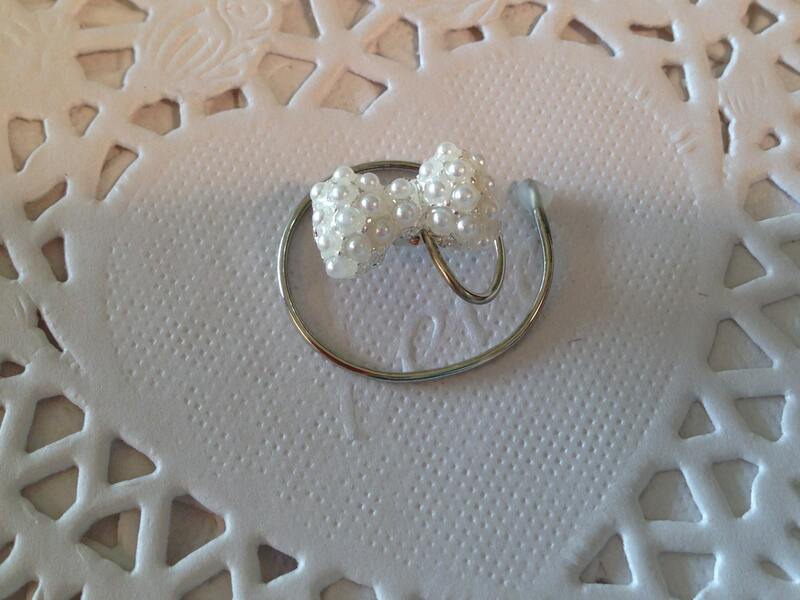 The bow hair spins are so easy to use and elegant to wear. Just twist them into your hair and right back out again.